Following the day of the amazing library we visited ‘The Eye’, a building holding a film exhibition, which we had in fact intended on going to the day before, we just couldn’t work out how to get there. This time however we managed to find the boat that shuttles to the Eye and back, of course we did get on the wrong one first which took us to some kind of industrial estate. We’ll just call that a little bit of sightseeing though right? When we eventually reached the exhibition we found that similar to the music booths in the library there were little booths in which you could watch full length movies including Harry Potter. There were also various interactive displays, be that a green screen for you to re-enact space scenes or a wall that projects splashes of colour with every movement made in front of it. That kept us amused for probably a bit too long. After taking in some culture we visited the bar and oh, my, what a bar it was. The size of it was incredible, not to mention the lighting decor that seemed to be inspired by the kind of flashlights you’d see on movie sets. If you ever go to Amsterdam I seriously recommend a visit to The Eye, film enthusiast or not. It was such a nice day as well that we all sat outside for a bit, dipping our feet into the water, taking in all the sun. As we walked back to the boat we examined some pieces of art, including some knitted rings and a table and chairs fit for a giant. That evening we ate out at a pizza place, recommended by mine and Tom’s hosts, and they did not let us down. I asked for a pizza topped with ham, quite simple, however nothing could have prepared me for the heap (and I’m not exaggerating) of meat just placed on top of my pizza. If I could say one thing about our trip it’s that I certainly ate well. The next day was spent chilling out in town, saying goodbye to some of the group that would be going home that day, leaving only three amigos in the city for the next couple of days. It wasn’t overly eventful but it was quite nice just to spend a kind of ‘average day out’ rather than do your typical tourist stuff. I regret to admit we did eat at McDonalds but it was a bit of a ‘we need to find the nearest food place’ kind of situation. 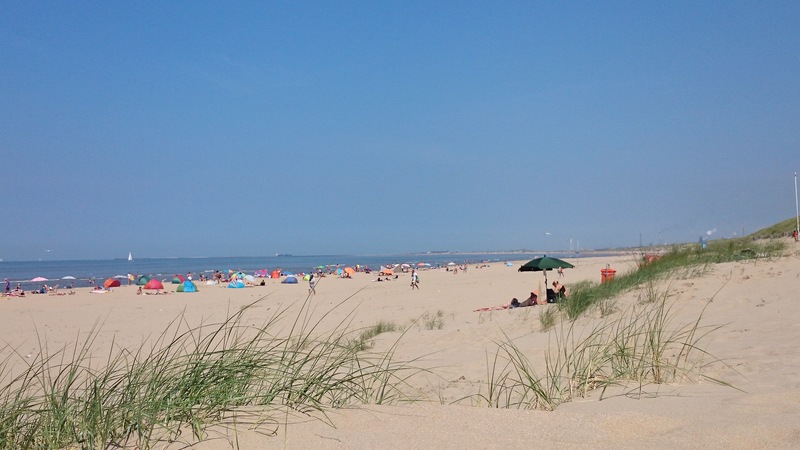 The following day was our last full day and at this point we decided to venture out of the city and go to the beautiful Bloemendaal beach in Harlem. Oh and it was the hottest day of the year, and yes I forgot to take my suncream with me. We sat out in the sun for a few hours before deciding that we needed some shade, and the only place there was shade? The expensive bars across the stretch of the beach. The ones that charge you six Euros for nachos, or rather, a portion of crisps with some salsa. Nevermind though, it was the last day after all. Overall our little trip away was rather incredible. 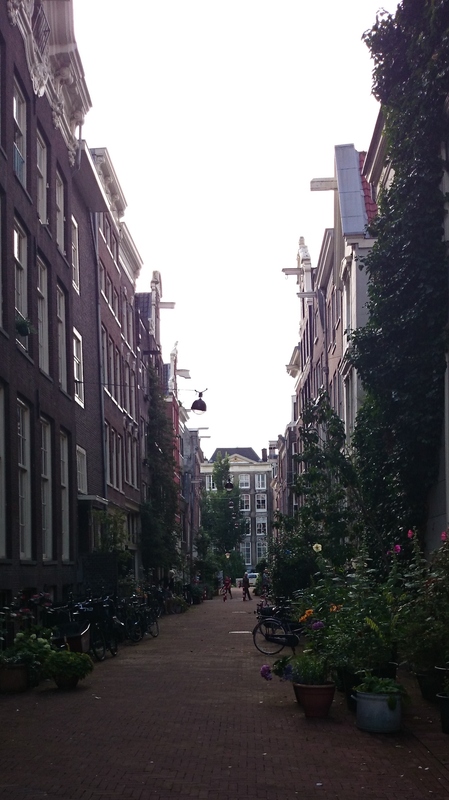 I think my favourite thing about it was though we indulged into some of the tourist traps of the city I really felt that we took in the culture of the everyday resident of Amsterdam. I’m not saying we mastered their lifestyle, not by a long shot. I’m just glad I didn’t spend every day sat on a beach or visiting every gift shop or museum. Now, I know that museums are indeed interesting and a great place to learn about a foreign place but there’s nothing like going out and living it all, exploring the area itself and getting to see it there and then right in front of you. You can read about a place almost anywhere, but you can’t always go live it. It is exactly this aspect of the holiday that has made me want to see more places, particularly those we don’t hear about everyday. Here’s to saving for the next adventure, be it a trip abroad or even finally going out to a festival I’m sure I’ll enjoy it either way.